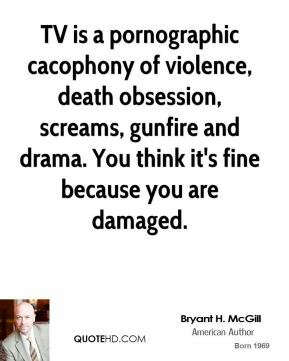 TV is a pornographic cacophony of violence, death obsession, screams, gunfire and drama. You think it's fine because you are damaged. When we saw our plane on TV as breaking news, it was the most surreal experience. A lot of the women were crying. 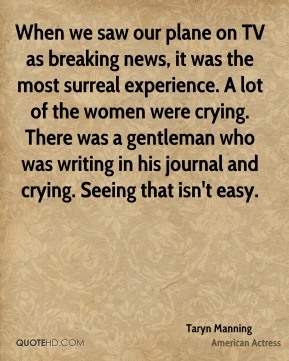 There was a gentleman who was writing in his journal and crying. Seeing that isn't easy. 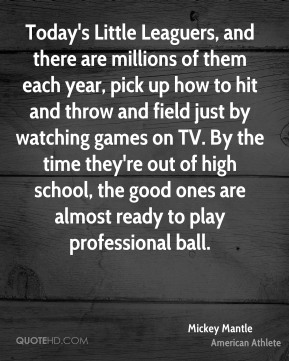 Today's Little Leaguers, and there are millions of them each year, pick up how to hit and throw and field just by watching games on TV. By the time they're out of high school, the good ones are almost ready to play professional ball. 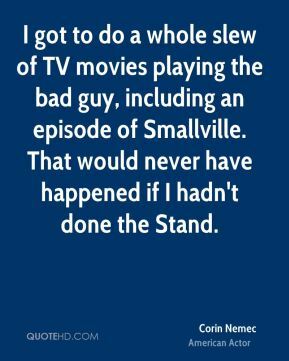 I got to do a whole slew of TV movies playing the bad guy, including an episode of Smallville. That would never have happened if I hadn't done the Stand. 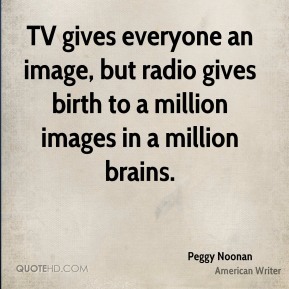 TV gives everyone an image, but radio gives birth to a million images in a million brains. 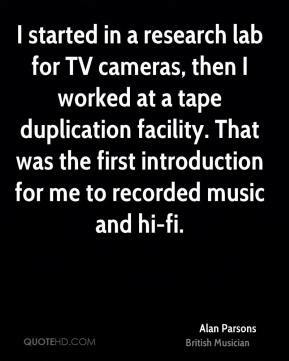 Composers today get a TV script on Friday and have to record on Tuesday. 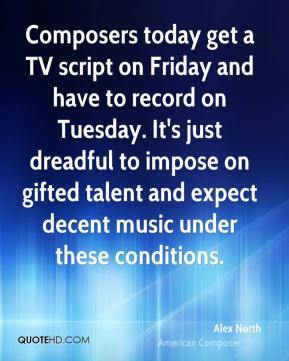 It's just dreadful to impose on gifted talent and expect decent music under these conditions. 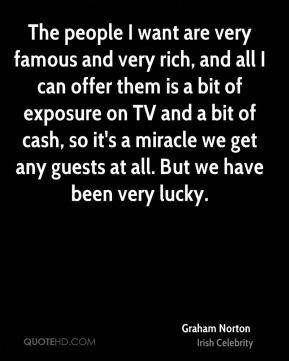 The people I want are very famous and very rich, and all I can offer them is a bit of exposure on TV and a bit of cash, so it's a miracle we get any guests at all. But we have been very lucky. 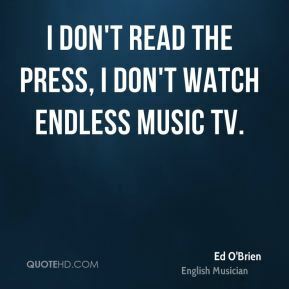 I don't read the press, I don't watch endless music TV. 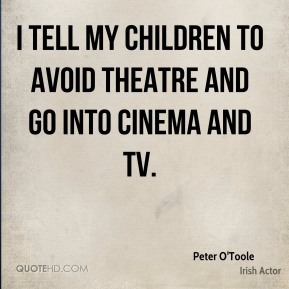 I tell my children to avoid theatre and go into cinema and TV. People are strange. 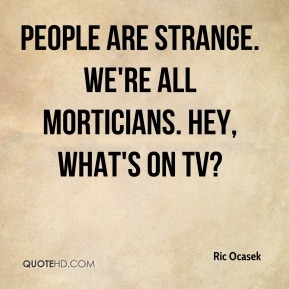 We're all morticians. Hey, what's on TV? 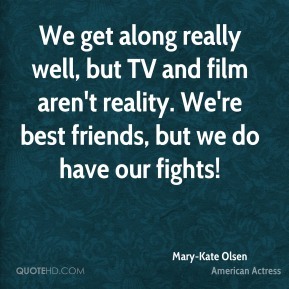 We get along really well, but TV and film aren't reality. We're best friends, but we do have our fights! 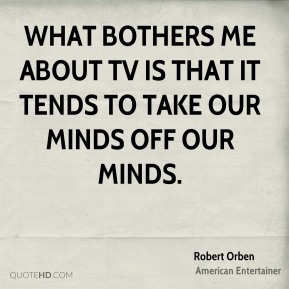 What bothers me about TV is that it tends to take our minds off our minds. It's been real weird. It wasn't how I expected my life to turn out. 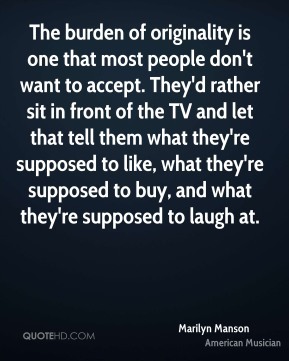 Especially, mainly pertaining to the show. 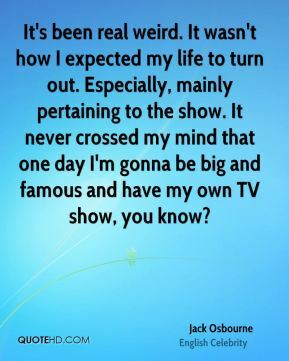 It never crossed my mind that one day I'm gonna be big and famous and have my own TV show, you know? 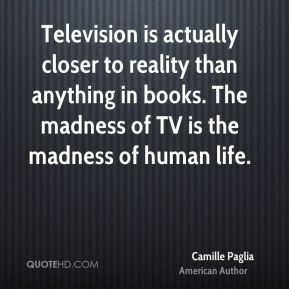 Television is actually closer to reality than anything in books. 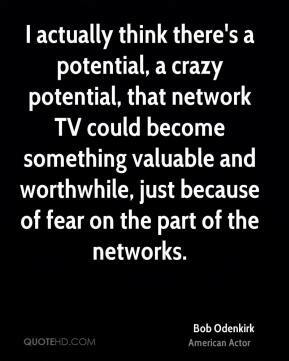 The madness of TV is the madness of human life. I don't have role models or watch much TV. 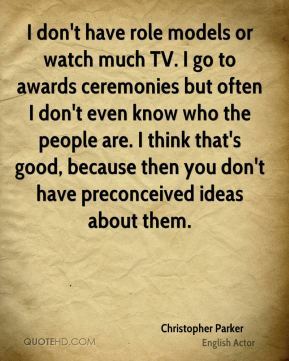 I go to awards ceremonies but often I don't even know who the people are. I think that's good, because then you don't have preconceived ideas about them. I don't watch much TV or films, but I've watched Cameron Diaz. There is nothing we can't do. 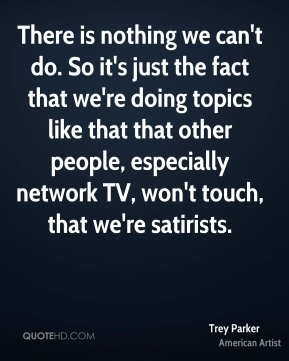 So it's just the fact that we're doing topics like that that other people, especially network TV, won't touch, that we're satirists. 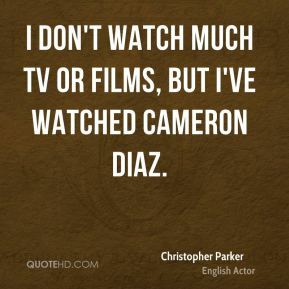 I know I'm an actor, but I'm not at all a believer in people watching a lot of TV. I've never had television in my home. 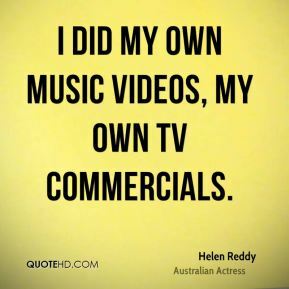 I did my own music videos, my own TV commercials. 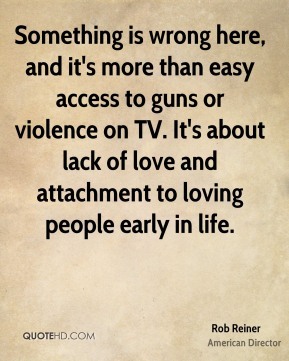 Something is wrong here, and it's more than easy access to guns or violence on TV. It's about lack of love and attachment to loving people early in life. 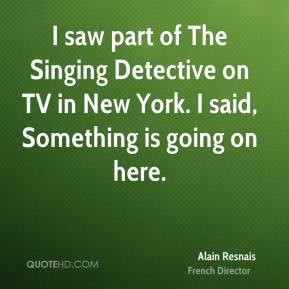 I saw part of The Singing Detective on TV in New York. I said, Something is going on here. 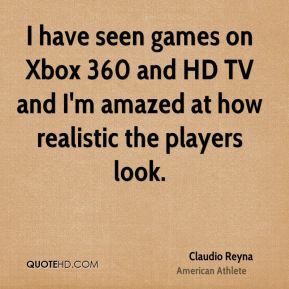 I have seen games on Xbox 360 and HD TV and I'm amazed at how realistic the players look.